Corrus RCF Ltd - Roofer based in Escomb, County Durham. 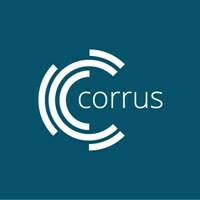 Corrus are a specialist Roofing, Cladding & Joinery contractor based in the North East of England. We provide a comprehensive range of high-quality property & construction services, with a forward thinking, intelligent & proactive approach to all that we do. Pitched Roofing works (slate, tile & leadwork). Flat Roofing works (Built-up Felt, Single Ply & Liquid systems). External Cladding, Rain Screen & Facade systems. Bespoke Joinery & Carpentry services. Our team of skilled, time served operatives are supported by an experienced management team with more than 25 years of industry experience - and together we have unrivaled knowledge in our field, with the ability & capacity undertake and deliver the most ambitious projects. We pride ourselves on being able to deliver innovative solutions to ambitious challenges - blending cutting edge techniques with traditional craftsmanship and sourcing only the highest quality materials & components through our diverse supply chain to achieve the highest standards for our customers needs. We believe in offering our customers & clients long term solutions as opposed to short-term fixes - and our mission is to consistently deliver to the highest possible standards of quality, value and service excellence throughout all that we do. Based in Bishop Auckland, Co Durham - we operate within a 50 mile radius, covering all of the North East, North Yorks & Cumbria.